In a fascinating and consequential case, a federal judge slapped down the University of Chicago for claiming that the Islamic Republic of Iran could not get a fair hearing in the American court system. An ancient Iranian fragment similar to the ones in legal dispute in a terrorism case. After suicide bombers set off bombs in the Ben Yehuda mall in Jerusalem in 1997, killing five and wounding 192, Hamas claimed responsibility for the attack. Several of those wounded were Americans; with the assistance of Providence, R.I. lawyer David J. Strachman, five of them subsequently filed a federal lawsuit against Iran and Iranian officials (Jenny Rubin, et al vs. the Islamic Republic of Iran, et al.) on the basis of Iran's having financed Hamas, which made Tehran legally responsible for the actions of Hamas. The judge in this case, Ricardo M. Urbina, noted that Iran budgets "between $50 million and $100 million a year sponsoring various organizations such as Hamas." But the Iranian regime would have nothing to do with the case and boycotted the proceedings. The plaintiffs won by showing that the bomb maker in this attack, Mahmoud Abu Hanoud, had been trained by Iranian agents, and they won monumental damages totaling $423.5 million. How to collect? Ever creative, Strachman, targeted some 20,000 antique clay tablets of Persepolis, dating from about 553 B.C.-330 B.C., the oldest Persian tablets with alphabetical inscriptions. These have been housed in Chicago since as far back as the 1930s, at the University of Chicago and the Field Museum of Natural History, and Strachman claimed them on the grounds that the university had acknowledged that they rightfully belonged to Iran. To fend off this unwanted claim, the university argued that it was protecting Iranian rights to the property, even though Tehran did not appear in court. But why had it not done so? Here is where the university also got creative, claiming that the Iranians were justified in staying away because of bad experiences with the American legal system. 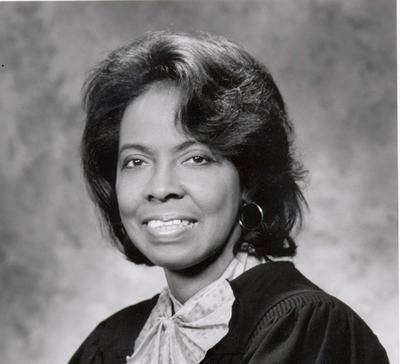 To this, U.S. District Judge Blanche M. Manning responded with fury in a June 22 ruling, She rejected as "wholly unsupported" the university's "brazen accusation that the courts of the United States are hostile to Iran and that, as a result, Iran should be excused from bothering to assert its rights." July 6, 2006 update: The University of Chicago may be attempting to represent Iranian rights to the Iranian antiquities but the regime in Tehran is showing no gratitude. In a letter to the United Nations Educational, Scientific and Cultural Organization, Abbas Salimi-Namin, head of Iran's Cultural Heritage and Tourism Organization, accused the university of keeping the ancient tablets "on various grounds and pretexts" and demanded their immediate return. Salimi-Namin calls on UNESCO's "sense of duty" to force the return of the objects. More threateningly, Iran's Foreign Minister Manouchher Mottaki warned that if the tablets are turned over to the victims of terrorism, American museums would "face a similar measure from Tehran." July 13, 2006 update: An Iranian official indicates his government will use diplomacy and cultural channels to regain the clay tablets in question, reports Nazila Fathi in the New York Times. July 17, 2006 update: Despite Tehran's growling, it has hired a Chicago attorney, Michael McCormick, to represent its interests in the University of Chicago case. Both sides present this as good news. "For the first time, Iran, which our government has designated a state sponsor of terrorism, is acknowledging that it is going to have to abide by the decision of a U.S. court," says David Strachman. "This development leaves us in a very good place," says Gil Stein, director of the Oriental Institute, where the tablets are housed. "The judge said we couldn't represent Iran's legal interests. Well, now the Iranians are in court." Iran's Foreign Minister Manouchehr Mottaki described the case as an "indecent cultural move by the United States" and warned of retaliatory legal claims against the United States for supporting the 1953 coup in Tehran and backing Iraq during the Iran-Iraq war. Strachman finds it ironic that the Bush administration is backing Iran's immunity claims—"blatantly opposing us," as he put it. Sep. 6, 2006 update: Iran's former president Mohammad Khatami took time out from his U.S. trip on Sep. 2 for a "private visit" to the Oriental Institute, where he met with its director, Gil Stein, and the University of Chicago's provost, Richard Saller. They discussed the tablets. Khatami stated that the tablets "do not belong to governments but to the Iranian nation and the world. These artifacts are not only part of the history and civilization of the Iranian nation but also belong to all mankind." Stein added that the university has "deep sympathy" for the victims but that turning over any objects of "cultural heritage" would be improper. In contrast, David Strachman said that in hosting Khatami, the U. of C. "is not just fronting for Iran but directly scheming with them." Apr. 13, 2007 update: Of course, two can play this game, and the Islamic Republic of Iran has appropriated the old U.S. embassy in Tehran to auction off by way of compensating Hossein Alikhani, an Iranian businessman abducted 15 years ago in a bungled sting operation by US customs agents. Abducted in the Bahamas in 1992 for violating American sanctions against Libya, Alikhani spent 105 days in a U.S. jail. Alikhani, who won a judgment of US$550 million four years ago in what appears to be the first lawsuit against the U.S. government for supporting terrorism, says that "The property has effectively been seized and is in my name. I hope to return to Iran in a few weeks to arrange the auction." The former embassy, currently hosts a some of Revolutionary Guards corps as well as an anti-American museum. July 31, 2007 update: Judge Manning has rejected the Iranian claim that, as a foreign government, it is exempt from a U.S. statute that requires it to designate an official to answer questions from Strachman under oath. Ruling in Rubin v. The Islamic Republic of Iran, 03c9370, U.S. District Court, Northern District of Illinois, Eastern Division (Chicago), Manning rejected Corcoran's argument that the clay tablets are protected by the Foreign Sovereigns Immunity Act. Nov. 15, 2007 update: I place this litigation in context in a column at "Washington Protects the Terror Masters." Feb. 21, 2009 update: "Imagine if the Russians laid claim to the Declaration of Independence, the Constitution and the original draft of the Gettysburg Address because they had a legal case against us. How would we feel?" That's Gil Stein, director of the Oriental Institute, raging a bit hyperbolically against the lawsuit that would confiscate the clay tablets (a better analogy would be to archeological finds along the Jamestown River). He is quoted in an Associated Press roundup of the case by Sharon Cohen, "Terror victims seeking Persian relics in court." One piece of news: Societas Iranologica Europea, a European association of scholars, has collected hundreds of signatures asking Barack Obama to prevent the tablets from being sold or confiscated. And this: there may be competition for the tablets. Another lawyer is trying to seize the Persepolis collection and other Iranian assets to compensate more than 150 families of 241 U.S. service members killed in a suicide bombing of a Marines barracks in Beirut in 1983. The families hope to collect a $2.6 billion default judgment against Iran, which has been blamed for supporting the militant group, Hezbollah, believed responsible for the Beirut attack. A special measure passed in Congress last year made it easier for families to receive compensation. "If Iran wants to protect these things ... they're going to have to do something to pay their judgments," says Thomas Fortune Fay, a lawyer for the families. The collection was discovered by scholars from the Oriental Institute in the early 1930s when they were building a ramp in Persepolis and stumbled upon two rooms in a fortified wall filled with tens of thousands of tablets and fragments. "They knew pretty quickly that they had found something extraordinary," [Matt] Stolper says. The tablets, inscribed with wedge-shaped cuneiform characters, were loaned to the university for study. When they arrived, there were great expectations. "The first thing people said was 'Hot dog! at last, now we can see Persia from the inside,'" Stolper says. But it turned out the tablets recorded food rations and the day-to-day business of an empire. It would take decades to fully grasp their importance. Studying just one tablet was like trying to understand a society with a single grocery receipt. Scholars had to figure out how they were connected. They also had to translate them. While some pieces were as large as place mats, others were nuggets. 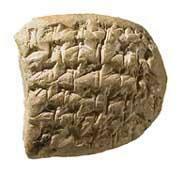 Many were written in Elamite, a complicated language dating back to 2300 B.C. or earlier. (Stolper is among a small group of people in the world who understands it.) The tablets revealed how rank shaped food rations, the movement of animals and the distant travels of people. It was a top-to-bottom look at a society. "It wasn't just a bunch of guys in bed sheets running around saying thee and thou," Stolper says. "These guys were highly civilized people who could operate extremely complicated bureaucracies because, after all, they had conquered an entire continent and what's more important is ... they held on to it." Over the decades, tens of thousands of tablets were returned to Iran after scholars finished studying and cataloguing them. When the Oriental Institute announced it was delivering more to Iran in 2004, Strachman heard about it. He had been able to collect just a small part of the judgment from Iranian bank accounts and a house in Texas once owned by the shah of Iran. This, he realized, could be an opportunity. No one knows how much the tablets would fetch on the open market. Some academics believe it would be a mere fraction of the enormous judgments; others think no institution would even bid on them considering the legal tug-of-war. Strachman, however, maintains he has been contacted by interested museums who want to expand their collections and says he has no intention of trying to sell them commercially. "The questions of foreign sovereign immunity at issue in this case are ones of significant interest to the United States," Sharon Swingle, an attorney for the U.S. Department of Justice, said in oral arguments. "They have an impact not just in this case obviously, but in all litigation involving foreign states in U.S. courts and also have a ramification for the treatment of the U.S. in foreign courts abroad." 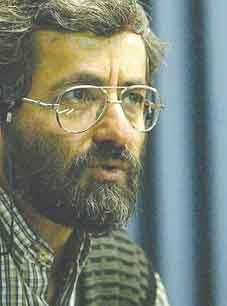 To which David Strachman, the victims' lawyer replied that "Iran is hiding behind the skirt of the U.S. government." Mar. 29, 2011 update: The 7th Circuit Court of Appeals had overturned a ruling that allowed Jenny Rubin et al. (the plaintiffs) to seize Iranian assets in the United States, specifically from Chicago-area museums, to receive the $71.5 million judgment against the Iranian government. The decision holds that the lower court wrongly denied Tehran sovereign immunity and returned the case back to the lower court for further proceedings "consistent with this opinion." Sep. 28, 2013 update: Here's a change of pace: on the occasion of Hassan Rouhani's American trip, the U.S. government handed him a 2,700-year-old Persian silver chalice, known as the Griffin, in the United States since 2003 to take home. He explained that "The Americans contacted us on Thursday[, Sept. 26, and said that] we have a gift [for you]. They brought this chalice to the [Iranian] mission with due ceremony and said this is our gift to the Iranian nation." Will this gift help counterterrorism policy? Mar. 29, 2014 update: Federal Judge Robert Gettleman ruled in a 23-page decision, that the Field Museum of Natural History and the University of Chicago's Oriental Institute need not surrender thousands of the Iranian artifacts to compensate Israeli terror victims for the $412 million judgment against the Iranian government. The judge wrote that he "recognizes the tragic circumstances" of the case but the plaintiffs had not proven that (1) the Iranian government owns the Field Museum items while (2) the Oriental Institute ones were only loaned out for scholarly, not commercial purposes. The court recognizes the tragic circumstances that gave rise to the instant action, but finds that the law cited by plaintiffs does not offer the remedy they seek. For the foregoing reasons, none of the statutes cited by plaintiffs provide a basis for the attachment and execution against any of the artifacts in the Persepolis, Chogha Mish, Herzfeld, or OI Collections. Consequently, the court grants defendants' motions for summary judgment. The plaintiffs are expected to appeal the ruling to the US 7th Circuit Court of Appeals in Chicago. Apr. 17, 2014 update: On a brighter note, the U.S. government has seized 650 Fifth Avenue, New York City, from Tehran to settle a terrorism claim. It is estimated to be worth about half a billion dollars.